The reinvention of the Coach brand from your mom’s favorite bag to the most talked about brand of the year is a testament to the ever changing face of the fashion industry– from the baby doll dresses to pastel faux furs, this collection had something for every fashionista, down to the kitties and bunnies adorned on tees, outerwear, and accessories. The Elder Statesman delivered a lookbook that is sure to tickle the fancy of many a Spiritual, the elegant, modern cuts of the tie dyed caftans communicate ease and grace. Prabal Gurung’s collection for ICB communicates understated elegance– the one piece silk pieces in lush jewel tones are plushy enough for any Caregiver who has to go to a fancy event and not think about how she’ll look. J Mendel seamlessly moved from furs to evening wear, and his gorgeously modern gowns are the things Visionaries dream of– they are the modern artists of the Archetypes circle, unafraid of bold splatters paired with sleek and modern elegance. What could be more Royal than a cup of rose tea in an English garden? Oscar De La Renta offers up his ladylike best to the lady who must always be put together and never leaves the house without looking her Sunday best. Marc Jacobs takes us from high street to the streets of Detroit– and what better place for the Rebelista to let loose and get loud. This season we’re treated with thrift store chic sewn together with pleats and dresses and uniforms– so many wrongs DO make a right. Zaldy returns to the stages of New York fashion after touring the world with his stunning work, costuming the entirety of Michael Jackson’s legendary last tour– so its natural that his flashy pieces resound with the Performer in all of us. 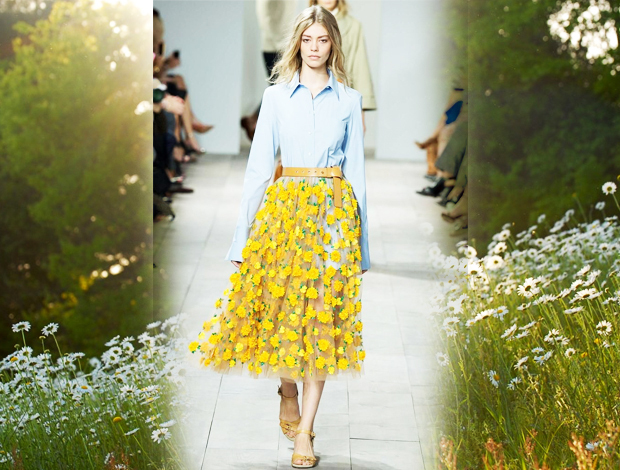 Michael Kors walks us through daisy fields– but not all Advocates get their feet dirty– some of them need to change the world from the board room, so a crisp sky blue button up is in order. 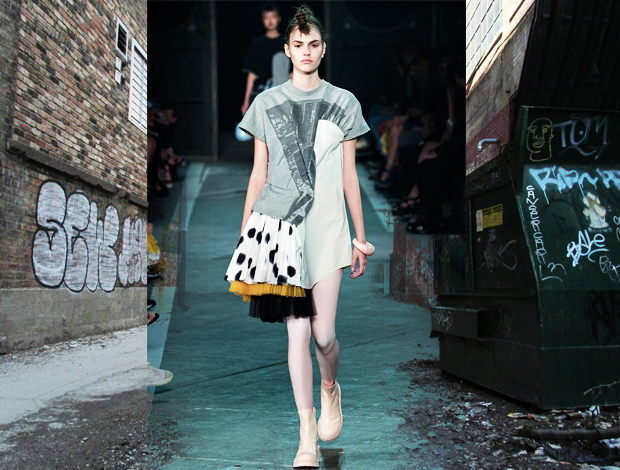 Proenza Schouler are known for making the coolest clothes for the downtown girls– but even an uptown Intellectual can appreciate the smartness of separates, geometry, and luxury. 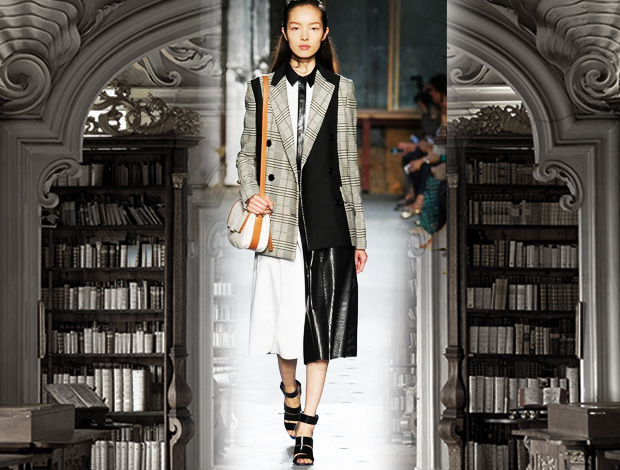 She’ll be sure to turn every library into a runway. The girls of Rodarte take us on a world tour, and even though these are the spring and summer collections, something about those lace up boots and khaki colored wool coats with oversized pockets makes me feel like trudging north to see the melting glaciers. 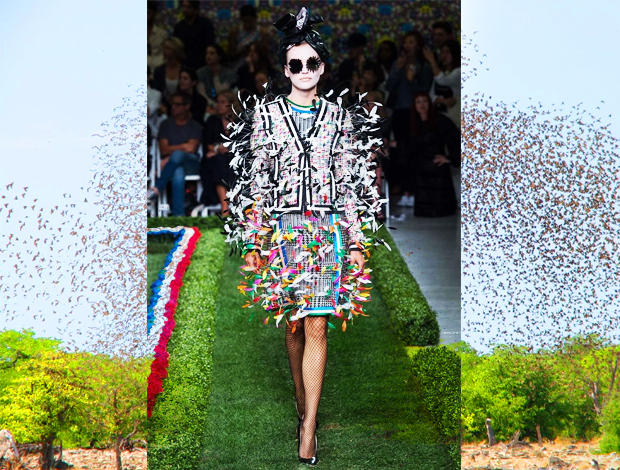 Thom Browne has been the go-to for the avant guard for the last few seasons, and he did not fail to disappoint. It was a literal play on proportion, staged on a larger than life miniature golf course with giant badminton hats and tiny suit caps. This look is eclectic perfection, Tippi Hedren on acid! Alexander Wang has long been designing stunning clothes for the Athlete, his easy to wear knits and every day options have pleasing form as well as function– but what does a Sportista wear when she’s treading up the stairs at a gala at the Guggenheim? 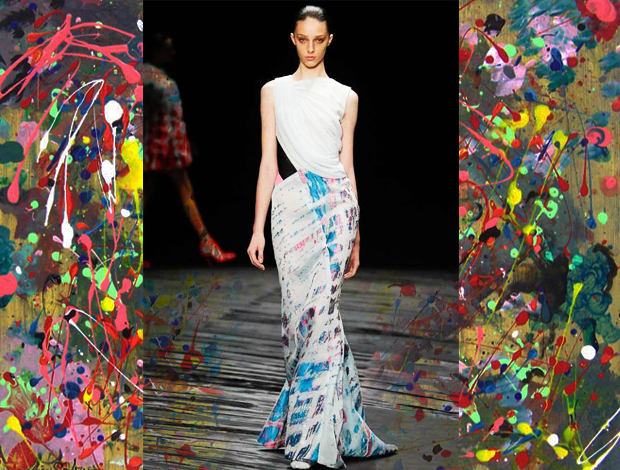 How about one of his spring dresses– all lines, flow, and ease.